Situated at 2874m above sea level, Sani Mountain Lodge straddles two countries: South Africa and Lesotho. 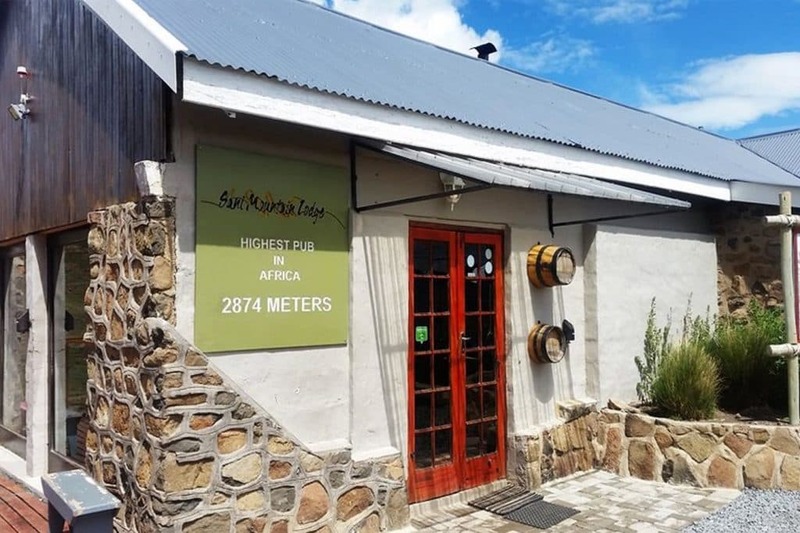 A drink at the legendary pub proclaimed as the Highest Pub in Africa will certainly be one for the books. While you’re there, be sure to tuck into the buffet for a tasty meal. And don’t leave without the obligatory photograph next to the famous sign! Be warned that reaching these heights is not for the faint of heart. Only high clearance vehicles can access the iconic Sani pass, and once you’re at the top, expect high altitudes and snowfall in winter. At Joe’s, everything has a story. From the kudu-horn trophy on display to the old Mini outside, all corners of this beloved Windhoek steakhouse are brimming with history. 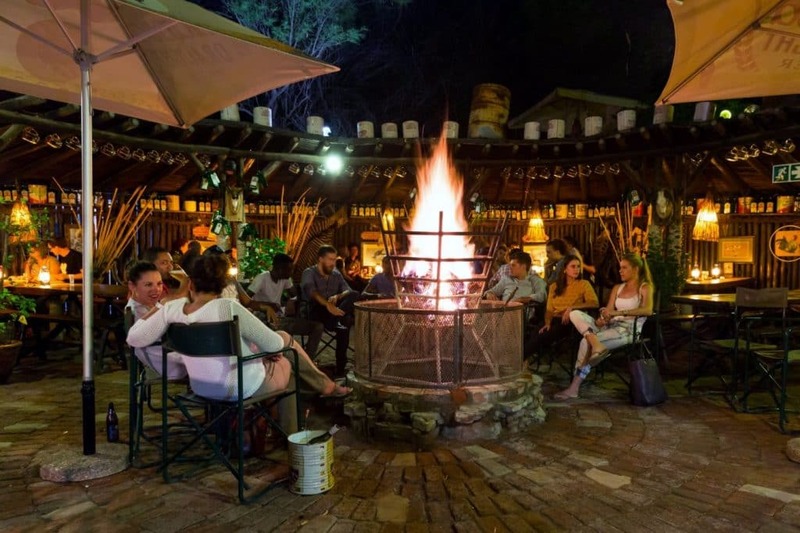 Since 1991, Namibians and foreigners have flocked here for the authentic cuisine and one-of-a-kind atmosphere. 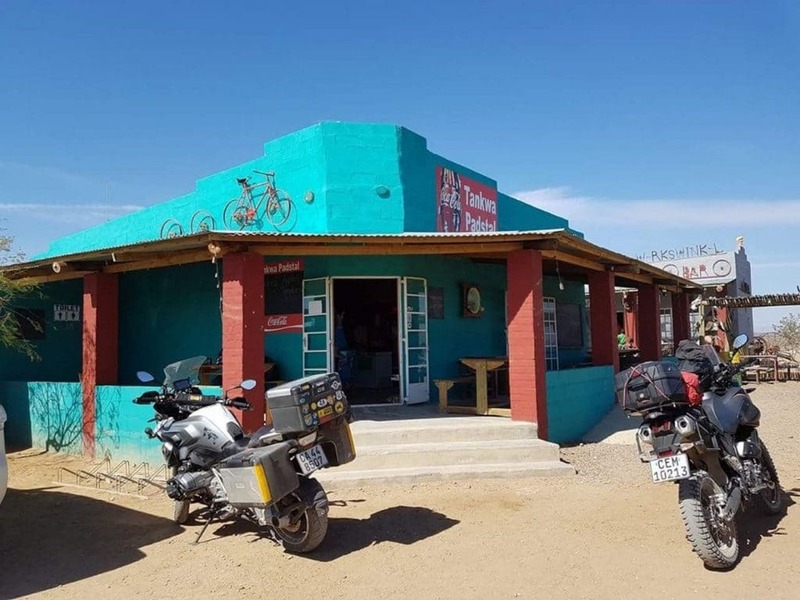 It’s become so popular that the saying now goes that “you haven’t been to Namibia until you’ve been to Joe’s”. Carnivorous types will love the meaty menu with its wide variety of game: zebra, springbok, gemsbok (oryx) and, when in season, crocodile. Despite a whopping 500+ person seating capacity, it fills up quickly, so book in advance to avoid disappointment. Could Potluck Boskombuis be South Africa’s best kept culinary secret? 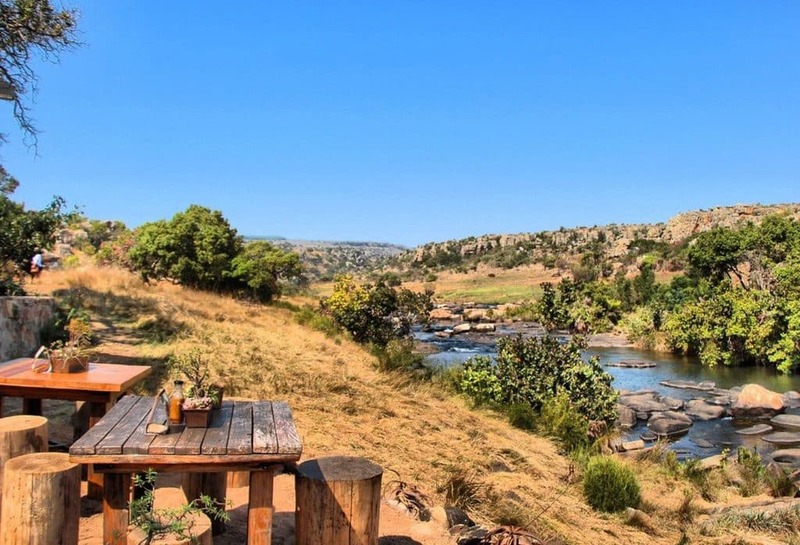 Lodged up against a giant boulder and enveloped in greenery, this Lowveld restaurant in the middle of nowhere is about as authentic as it gets. The location along Mpumalanga’s Panorama Route ensures that you’ll get the best of both worlds: a delicious meal with breathtaking views. The kitchen itself overlooks the dining area and comprises little except open grills and some basic cooking utensils. Rustic charm and quality time are what it’s all about. If the weather’s good, combine your visit with a 7km hike to the nearby waterfall. You’ll be glad you did! Since it opened, the Tankwa Padstal along the R355 has proved to be as hardy as the Karoo soil on which it is built. When a tragic arson incident obliterated the original premises, the local community rallied together to rebuild the legendary establishment – proving how special it is to those who have been there. Quench your thirst at the bar, enjoy some snacks in the yard or wile away the hours browsing the bric-a-brac. Know that if you’re heading out this way in autumn, you may struggle to find a seat. 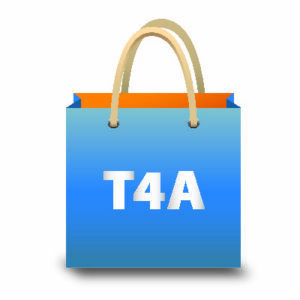 Stopping by the Tankwa Padstal is a rite of passage for AfrikaBurners! 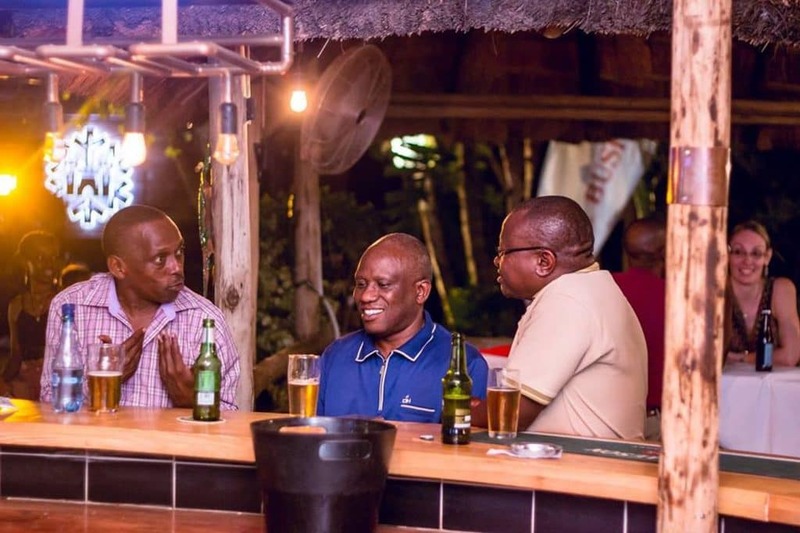 Variety is the name of the game at this festive hangout in the heart of Gaborone. Serving up an unfussy and diverse range of beers, spirits and traditional pub grub – there’s something for everyone at Bull & Bush. Both expats and locals love the place, no doubt due to the generous portions and vibrant ambience. With an outdoor beer garden, pool table, regular theme nights, pub quizzes, live music and special deals, there’s truly never a dull moment. As much as we adore the peace and quiet of the bush, sometimes all you want is a fun night out with friends before getting back on the road. 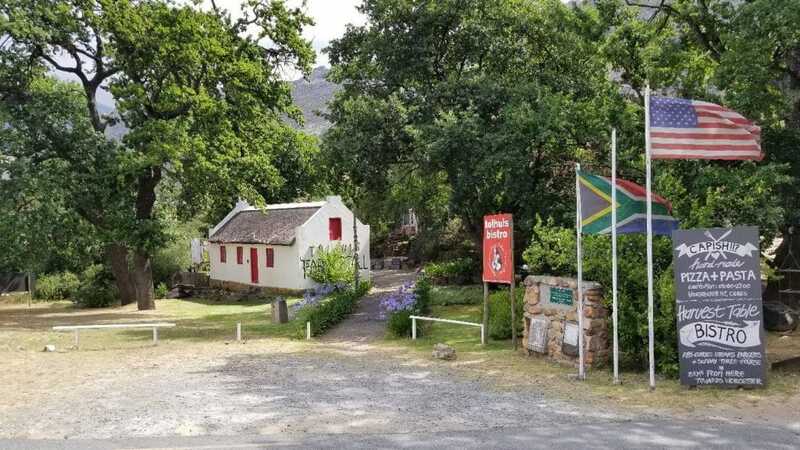 Fondly known as The Republic of Roosterkoek, this cosy bistro and farm stall just off Michell’s Pass has become a bona fide Ceres institution. Although not strictly in the ‘bush’, it has all the hallmarks of a great country pub: stunning scenery, hearty food and small town hospitality. The menu offers up proudly local fare, with dishes such as walkie talkies, snoektert, bunny chow and generously filled roosterkoek. We recommend stopping by in winter so you can sip a warm mug of moerkoffie at the fireplace and feel right at home! 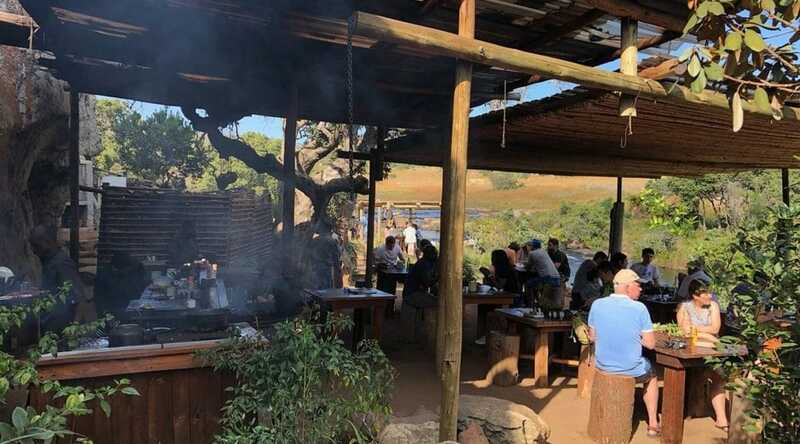 What is your favourite bush pub in Africa? Let us know in the comments below. Well done Ceres 2 .. one 4km outside Ceres and one in our Ceres Karoo. Well done you 2. Both great places, different but nice. At the Tankwa they even test your eyes and can do a pregnancy test. I had to giggle when the owner told ..and ask me that. During our 6 month travels in east and southern Africa in 2016/17, the only pub in the above list we visited was The Highest Pub in Africa, Sani Mountain Lodge. Very good resting place for a beer after the steep climb up the Sani Pass. First define what you see as a bush pub, because I see 2 of the above, maybe 3 at a push, that I would call bush pubs.